Presidio is very excited about this addition to the portfolio. 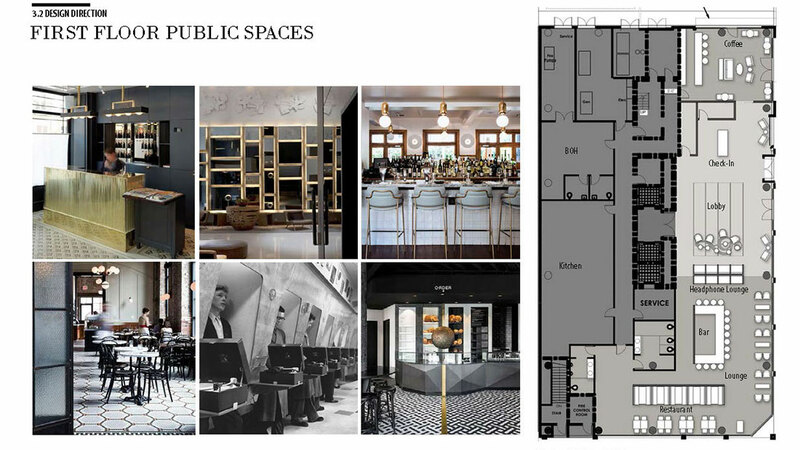 Not only does this property feature a beautiful historical exterior, it is situated in the heart of the vibrant redevelopment of downtown Sacramento, directly adjacent to the brand new Golden 1 Arena. 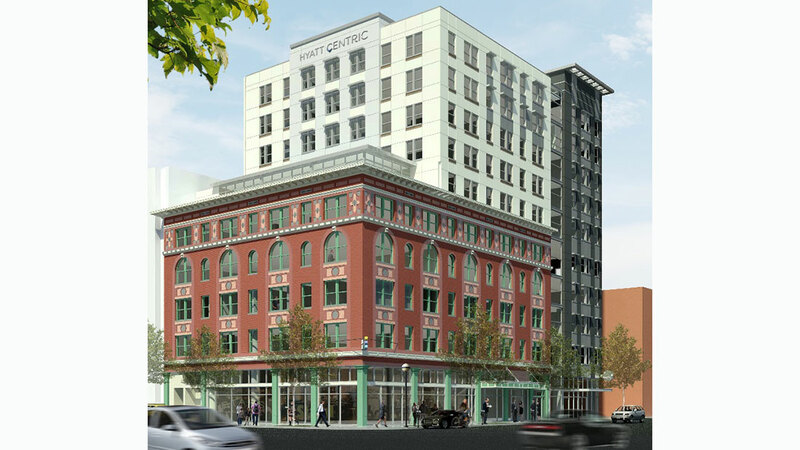 The building represents an important part of downtown Sacramento’s rich past and its promising future. It was first opened in 1911 as the Hotel Clayton and then by its more common name, the Marshall Hotel. Today, the Marshall Hotel is listed as a landmark on the city’s register of historic and cultural resources. 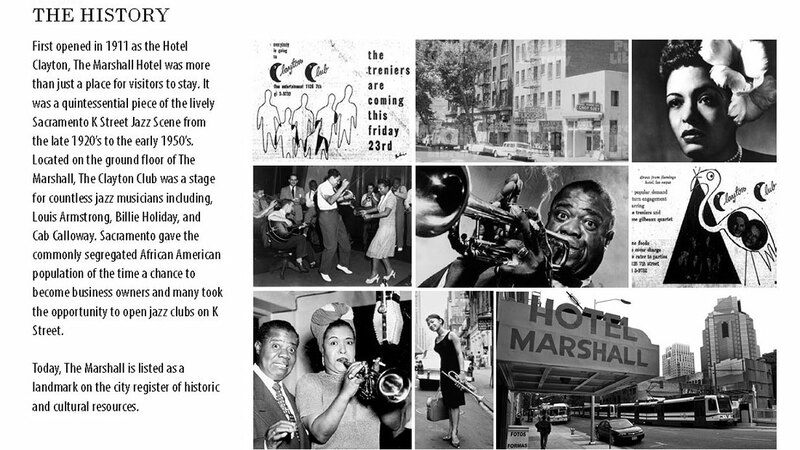 The Marshall Hotel was more than just a place to stay, it was an integral part of the downtown Jazz scene from the late 1920’s to the early 1950’s. The Clayton Club, located on the ground floor, featured legendary acts such as Louis Armstrong, Billie Holliday, and Cab Calloway. 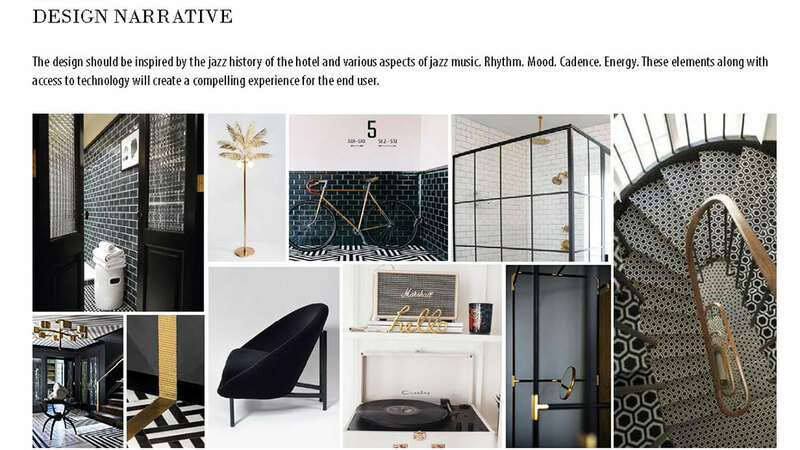 Our vision is to revitalize this landmark drawing inspiration from its rich jazz history. It will be the place to stay for those attending an NBA game or other big ticket events at the Golden 1 Arena. 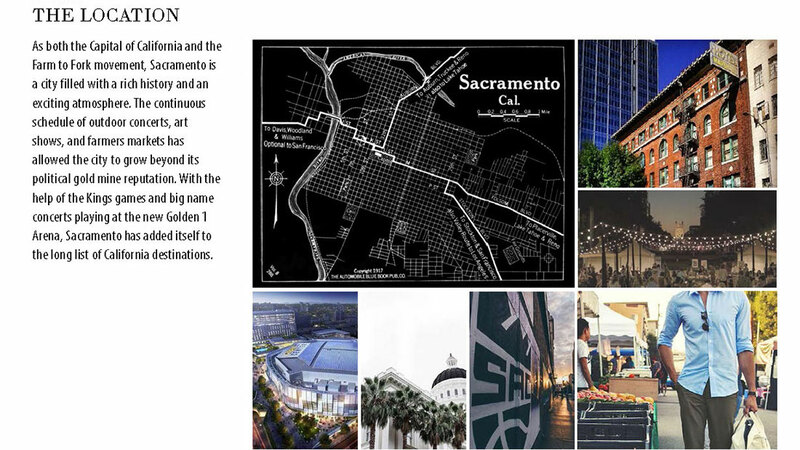 It will showcase the best Sacramento has to offer with a perfect blend of efficiency and style. Business travelers will be pampered with access to the latest technology and the efficiency of being within walking distance to most important destinations in the city. Our target opening date is set for mid-2019.